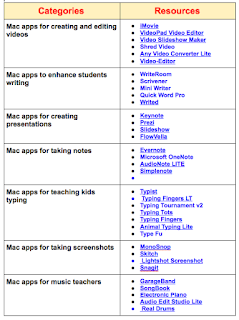 If you are using or planning to use Mac in your instruction, the chart below is definitely worth your consideration. It features a number of key resources to help you make the best of Macs in your teaching. 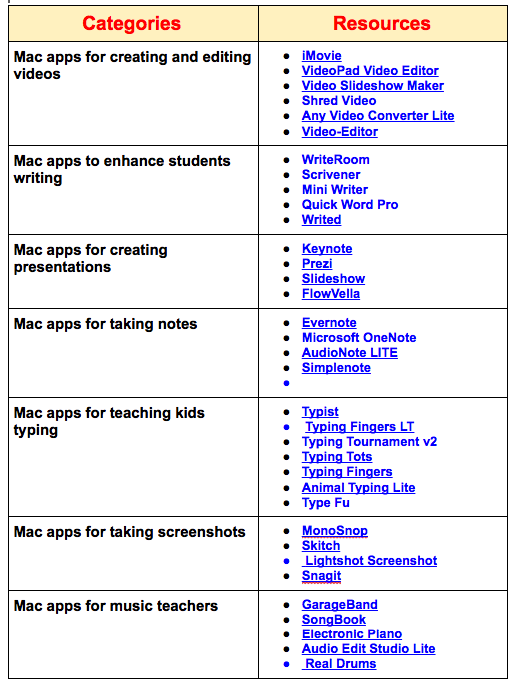 These resources are arranged into the following categories: apps for editing and creating videos, apps to enhance students writing, apps for creating presentations, note taking apps, apps for teaching kids typing, apps for taking screenshots, apps for music teachers, apps for learning a new language and, finally, Mac tips for teachers.